As a psychiatrist I’m used to prescribe antidepressants. Dark chocolate is my recommended mood enhancer number one. It also provides protection from the dangers of starvation, a fact my mother recognized early (Dark Chocolate with Orange Bits), and then shared with me (Dark Chocolate with Hazelnuts). 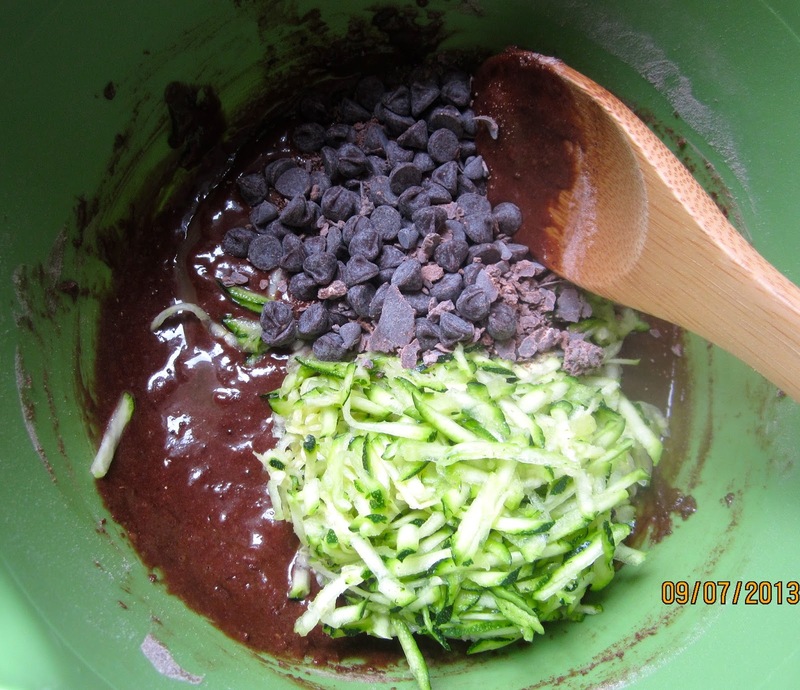 ABC pick of the month, Double Chocolate Zucchini Bread, had to be healthy and wholesome. DOUBLE chocolate!!! Vitamin C and fibers! Instead of baking one large coffee cake, I prefer, like several other Avid Bakers, smaller, individual portions, and, since we are only two, halved the recipe to make six square muffins. Though I usually reduce the amount of sweetener, I’m cautious when a recipe contains cocoa, and only rounded honey and sugar a bit down. Following some reviewers’ advice, I cut down on the salt. The (optional) espresso powder is, in my opinion, a must, since coffee deepens chocolate flavor (and vice versa!) And I substituted a quarter of the white flour with whole wheat pastry flour. While watching the baking muffins, I was a bit anxious about all that juice bubbling out on top. 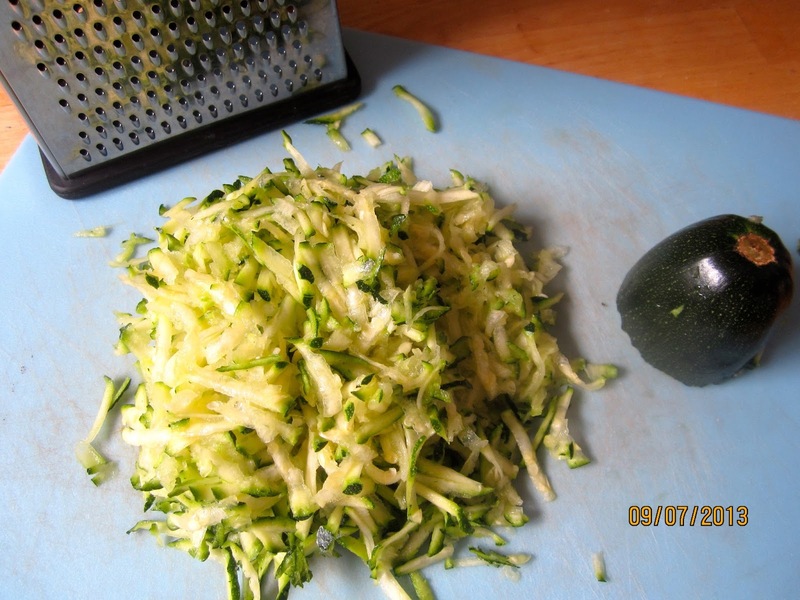 The recipe didn’t mention draining the shredded zucchini, or patting it dry, and I wasn’t quite sure whether enough liquid would evaporate. 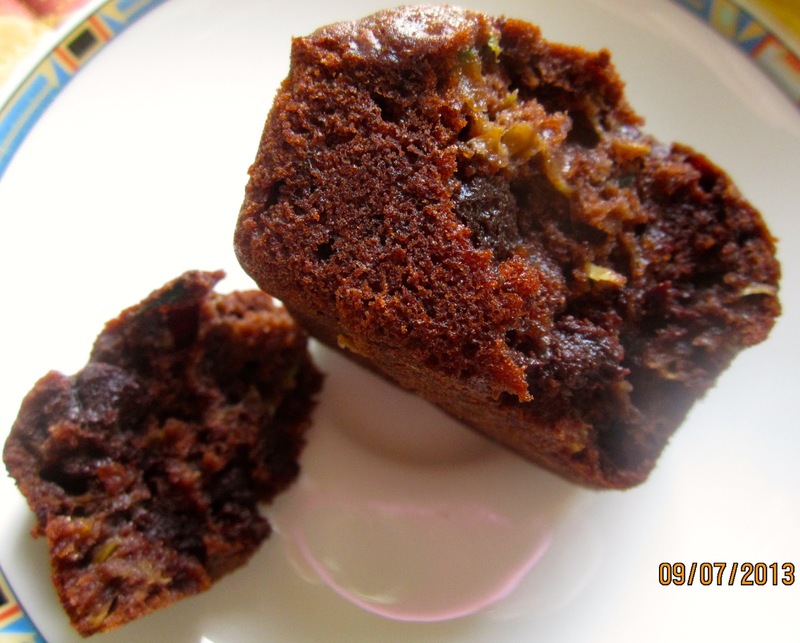 But after 30 minutes baking time, the needle drew only a smear of molten chocolate from the tested muffin, and the top was nice and springy when gently pressed. 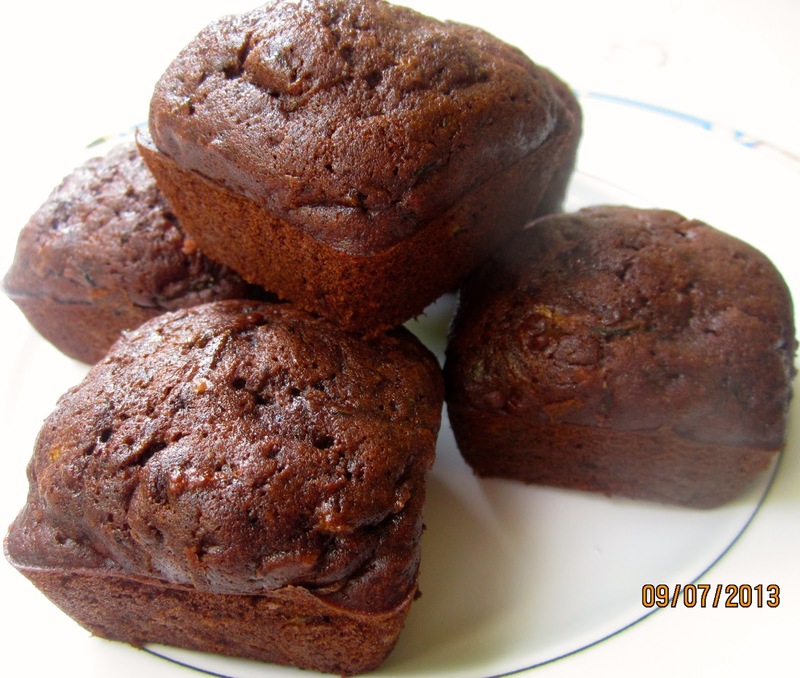 The muffins were very moist, thanks to their veggie add-in, and had a deep, rich chocolate flavor. They could still have been a little less sweet in my opinion, but Richard, the best of all husbands, proclaimed them to be “just right”. Preheat oven to 350°F. 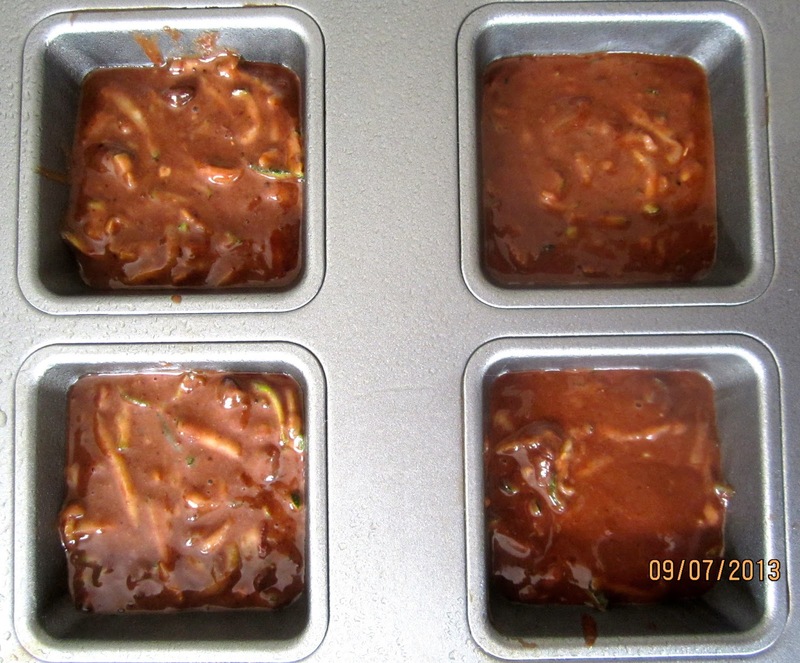 Grease cups of muffin pan with baking spray. In large bowl, beat eggs, honey, oil, sugar, and vanilla until smooth. 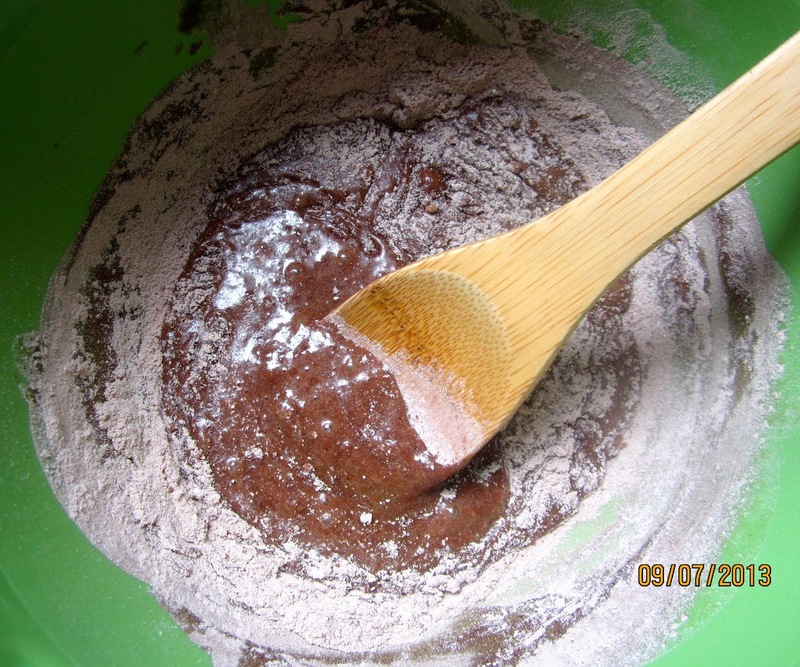 In second bowl, whisk together salt, baking soda, baking powder, espresso, cocoa, and flours, until well combined. Add dry to wet ingredients and mix, until just combined. Pour batter into prepared cups of muffin pan (up to 3/4). Bake muffins for 20-30 minutes, until toothpick comes out clean (save for smear of melted chocolate chips). Let muffins cool for 10 to 15 minutes in the pan, before turning them out onto wire rack. Keep them at room temperature. If you can’t eat the muffins within 2 days, freeze them. They look beautiful! Love the square look. I'm glad you and your husband liked them. They definitely freeze well. I have about half a small loaf in the freezer (I cut a slice from the frozen loaf, nuke it for a minute on 30% power, and then… come to momma). I love them slightly warm! Very nice Karin!! My grandsons went absolutely crazy for this bread. I like the idea of going smaller. I agree with you Karin, this was best eaten warm while the chocolate was still gooey. 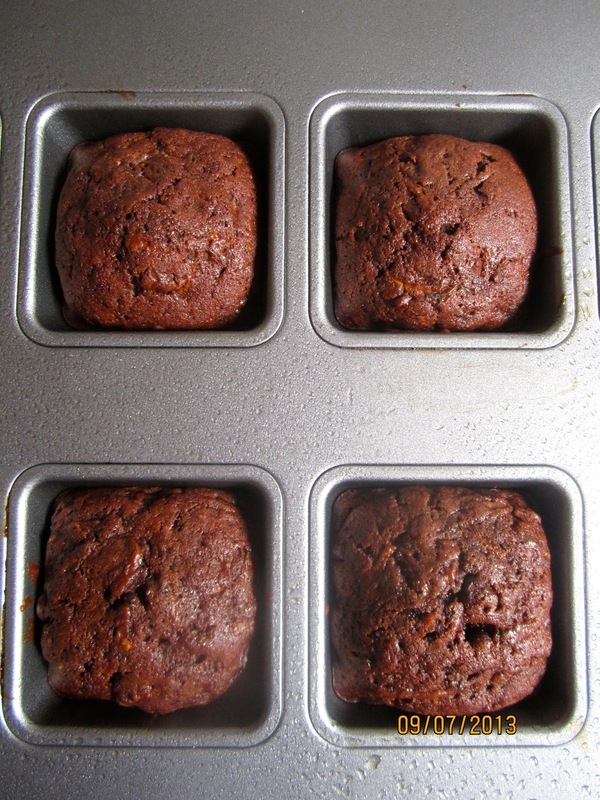 I've never seen the square muffin tin….very nice. So it's only us two, and our waistline is always in danger with all baking, anyway. I hadn't seen a square muffin pan before, either, but this was a birthday gift of our daughters, they know that they can always make me happy with some new, fancy kitchen gadgets. Eaten these while warm is definitely the best, but then it was pretty good too the next day. Really moist and chocolaty. A great idea to make these into muffins. 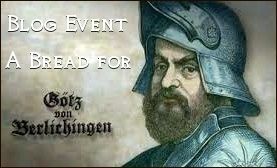 The next day I nuked them for a few seconds, that did the trick. But you are right, they taste good warm and at room temperature.